The Cup 'n Stuff™ Holder is insulated to keep your drink warm or cold, plus it has exterior pockets to hold your phone, keys, or other small personal items. 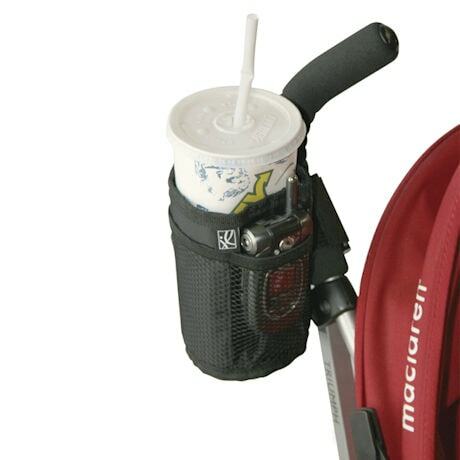 Easily attaches to a walker, wheelchair or rollator in seconds without tools. Black. 5½" T× 3½".